Home » Featured » Rotorua, New Zealand – Secret Things To Do! Statistcs show, Rotorua is New Zealand’s – Best Travel Destination! But is it really worth visiting? It certainly is a very popular tourist city… for obvious reasons. As well as many other “Must Do Activities” man-made or natural. I’m certain you are going to find Lake Rotorua worth visiting – but difficult to leave! A few days in Rotorua is Good For Body And Soul! You will find geothermal hot pools throughout the Rotorua area including in the secluded backyard of our oldest hostel – Spa Lodge. As well, there are select Rotorua hotels or motels offering private spa’s included in the room rate. Not all will use natural mineral water straight from the ground – thanks to Council rules. To comply with Council By-laws many use thermal water to heat normal tap water with a heat exchanger. They normally won’t tell you that, but either way, you can still enjoy a relaxing and therapeutic soak without leaving your motel! Rotorua still has many natural hot pools to choose from – if natural is important to you? Some are simply warm streams flowing through rural bush areas you can visit for free, like Kerosene Creek. One of my favorite places to visit around Rotorua is Waikete Hot Pools. Located a short drive south of Lake Rotorua. As well it is excellent for those of you who struggle with the sulfur smell of Rotorua. Waikete Hot Pools use mineral water from a deep bore, it has No Smell At All! You won’t see any odd looking floaty bits? or feel the need to shower after swimming! with the hope of removing that persistent “rotten egg” smell. As you would after soaking in most of the more popular hot pools in Rotorua – did I mention the price is pretty good as well? The pools are drained and cleaned every night so there is no need for chlorine or any other nasties – that’s why We like to take our 4 years old there. The water is just pure H2O Spring Water with a few natural minerals – you could probably drink it. Rotorua can also provide high-end spa retreats offering therapeutic pools and beauty treatments if that is what you require these often include massage or mud baths for those who are so inclined. Rotorua is a tourist town… with all the usual tourist traps and delights you would expect to see in a popular tourist destination. Keep that in mind when you plan your Rotorua visit. But don’t be put off by this. Even the touristy places offer great deals. Especially if you are traveling with your kids and want to save a few dollars with a family pass or off-season rates in the colder months. Agrodome: A farm show and farm tour that’s been around for a very long time but people still – Flock To It! But to experience the Best Rotorua Attractions you need a “little inside knowledge” from our travel guide. Some form of transport will help as well, as some of the best free places to visit are a little out of town, even a hire bicycle would do for some of the closer attractions. Many of the best things to do in Rotorua are Free or at least quite Cheap… including all the lakes and walking tracks or mountain biking. The Geothermal Attractions in Kuirau Park are free – including nice warm foot pools. Running or Walking around Blue Lake cool off with a swim afterwards if it is summer – swimming in any of the amazing Rotorua Lakes is a great free activity. You can visit all of these Lakes or attractions without it costing you a penny! – That’s a Great Deal! Rotorua is never boring if you are the active Outdoors Type… and doesn’t have to be expensive unless you choose to the more tourist orientated activities. I suggest you stay at least 2-3 nights in Rotorua, longer if you have the time there are lots to do – even the full-on “tourist attractions” are worth seeing at least once. The last section of the drive to Lake Okataina follows a magical narrow winding road through native bush. This is a lovely area, clean water, great fishing. One of the few lakes in the North Island that is completely surrounded by native bush. There are no buildings around the entire lake – just one hotel at the end of the road. The well-maintained walking track along the Eastern edge of Lake Okataina takes you through to Lake Tarawera’s Humphries Bay – return the same way, for a comfortable day walk. Or if you have your camping gear, turn left at Humphries Bay and walk a few more hours to Tarawera Falls. Camping is allowed at Humphries Bay and Hot Water Beach on Lake Tarawera or close to Tarawera Falls. If you don’t want to walk the complete track there is a water taxi that services all 3 camping areas’ on Lake Tarawera. short hikes around various lakes in the Rotorua Lakes Region…Lake Okareka, Blue Lake, the landing at Lake Tarawera a (great cafe here as well) Sulphur Point on the shore of Lake Rotorua, Hongi’s Track at Lake Rotoiti, Kaituna river walk at Okere Falls, are all great places to visit. just enjoy the solitude and swim in the crystal clear waters of Lake Okataina. Tarawera Falls, walk beside the Tarawera river as it disappears underground only to reappear through a hole in a sheer Cliff face… Tarawera Falls, there is a basic campsite you can drive too, so you could take your tent or campervan and camp a few days. As well as camping at Tarawera Falls camping is also allowed at Humphries Bay and Hot Water Beach, all of these camping spots are on the shore of Lake Tarawera-a water taxi will take you to all three leaving from the Tarawera Landing. Kuirau Park, Free to visit “Rotorua Mud Pools” this surprisingly active geothermal area is a short walk from the city center, well worth a visit, while you are there take the time to pamper yourself, rejuvenate your tired feet in purpose-built foot baths – what better way to enjoy the priceless (FREE) geothermal activity of Kurau Park. Visit the Redwood Forest – 30 min to 1 hour walk through ancient Redwoods and mature Pine Forest, great for kids to run off their excess energy, the entrance to the Redwoods is off Tarawera Rd, so you can include this in your visit to Blue or Green Lakes, both of these lakes have a lovely long walk around their shores (about 1 hour). Lake Rotorua and Mokoia Island are central to Rotorua as a destination. As well as boiling mud pools and that magical whiff of sulfur. Rotorua is also well-known for amazing mountain biking trails – purpose-built to suit all abilities, most of the best trails are quite close to town in the Whakawerawera forest, where an ever-growing selection of well-designed tracks snakes through commercial pine forests. Great exercise for the whole family, pack your lunch and spend the day. If you don’t own your own bikes? But still, want to give it a try. You can hire mountain bikes at most bike stores in Rotorua, or at the entrance to the Whakawerawera Forest Tracks. For those of you wanting to experience truly unique biking trails – take the drive to Whirinaki Forest Park, a bit over an hour from Rotorua. Whirinaki Mountain Bike Track is a stunning ride through ancient rainforest. The track is designed for the eco mountain bike rider and requires a medium fitness and skill level (grade 2 – 3). The track is 16 km and most people complete it in 2 – 4 hours. Shorter sections of the track can also be ridden. Whirinaki Te Pua-a-Tāne Conservation Park is 90 km southeast of Rotorua, off Ruatahuna Road, via SH38. The mountain bike track is located at the end of old Fort Road. For the more adventurous… try the more difficult Moerangi track. This dual-purpose track is described here for mountain bikers, from Okahu Road to River Road. See Moerangi Track for tramping information on other sections of the track. For the passionate mountain biker, the track has earned itself a reputation as a ‘must do’ track. With 35 km of challenging single track and 1000 m of climbing it’s a ride that demands respect but also offers rich rewards – what goes up inevitably comes down! The three huts on the track are a great place to have a rest and let others catch up. They also pose an opportunity to turn this demanding ride into an overnight adventure. Click the link above to get directions from the DOC website. In the past, access to Whirinaki Forest Park was exclusive to people hunting or hiking. The area only recently opened to mountain biking. As the area was earmarked for destruction (i.e Selective Logging) not that long ago! Wild Trout in the pristine rivers and good deer hunting in the surrounding bush make it a dream destination for the “outdoors types”. There are a couple of hostels quite close to the Whirinaki Tracks. They offer Accommodation as well as a Car-Security drop-off and pick-up service to all the track entrances. The road-end or track entrances in this area are notoriously unsafe. If you’re thinking of leaving your vehicle at the road end overnight? my advice is – Don’t Do It! This drop-off service attracts a fee, visit Whirinaki Forest Holidays website to learn more. Using your own vehicle they drop you off then park your car at their home base. They will pick you up again at a prearranged time. jet boating : Lake Rotorua, Waikato River. kayaking, all the 12 lakes are suitable for kayaking. rafting : Kaituna River, Rangitaiki River, Wairoa River. trout fishing, all the lakes offer great fishing. water skiing, most lakes have power boats for hire. skydiving, based at Rotorua airport…NZone is the company. With over 12 major lakes and 3 rafting rivers in the Rotorua area it should be no surprise water sports are very popular activities in Rotorua. You can also check out the Maori culture, Rotorua is known to be its heartland. You can enjoy visiting Maori villages, view their arts and crafts, taste their food and perform with them their, Traditional Songs and Haka. There is a wide range of accommodation in Rotorua starting with camping grounds ideal for those travelling New Zealand by campervan or using a tent and a car, plus many backpacker hostels. Rotorua also has an impressive list of Motels, Hotels, and Resorts to choose from. There are also a select few Luxury Hotels or Luxury Lodges – your accommodation decisions depend entirely on your expectations and chosen budget. Many hotels and resorts offer off-peak deals in unique locations overlooking active geothermal areas or one of the many lakes in the Rotorua area, as well as private thermal hot pools. It is well worth you spending the time to do a little research in order to find the Best Hotels Deals. Do this well before you plan to visit Lake Rotorua as you will find the “No Vacancy” sign is the norm in peak times – like school holidays and long weekends. 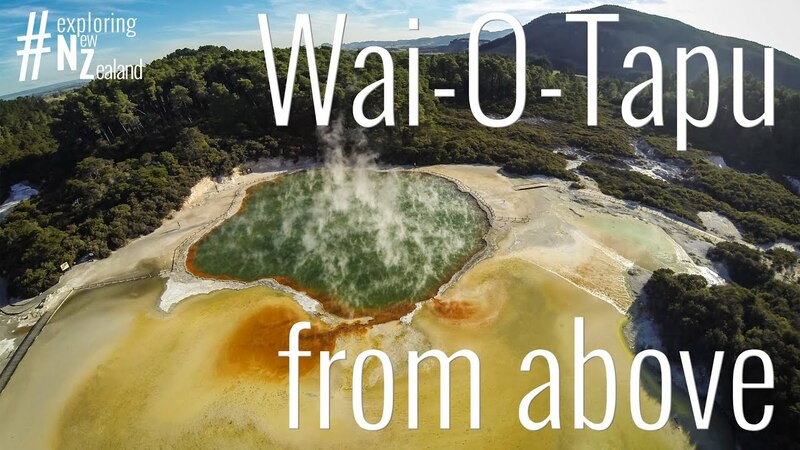 The bonus for all visitors to Rotorua, especially the active traveller – is the many natural Hot Pools. Or a long exhausting day sightseeing. If you think about it, A visit to Rotorua, New Zealand, should be compulsory! Hiking In New Zealand – You Gotta Try It! Rotorua Accommodation, Hotels, Hostels, Motels Rotorua Millennium Hotel & Spa – Review Backpacking New Zealand – Best Time To Go? Guide To Queenstown Attractions – What To Do!